Decades ago, a famous movie director threw a party in the wine cellars of CHÂTEAU VALTICE. 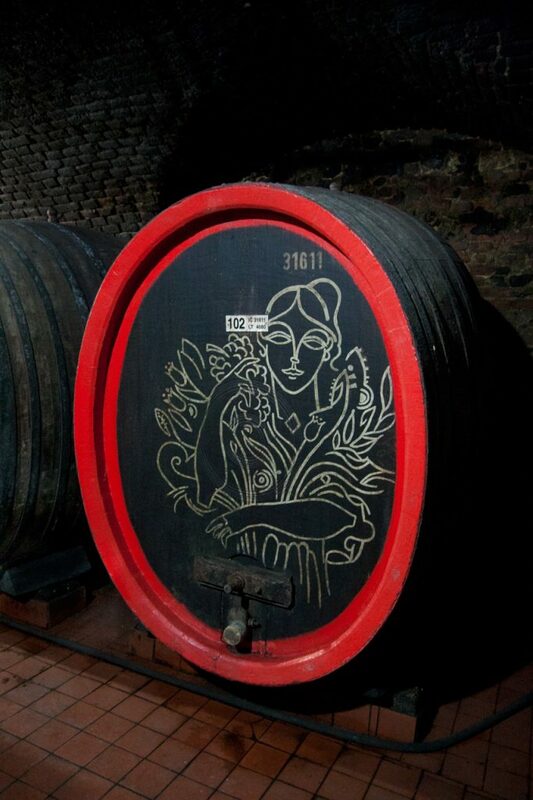 Perhaps the party guests thought that the already impressive cellars weren’t special enough yet, so they decorated the wine barrels with nice drawing, wine-related proverbs and women unfriendly jokes. You can still see these drawings from 1971, and a lot more, in the tour trough the CHÂTEAU VALTICE cellars. Underneath the beautiful Chateau of Valtice, there are several wine cellars, including the Wine Salon. This time we visited the Zámecký sklep of Vinné Sklepy Valtice, better known as Chateau Valtice. CHÂTEAU VALTICE – Vinné Sklepy Valtice is one of the biggest winemakers of the Czech republic. 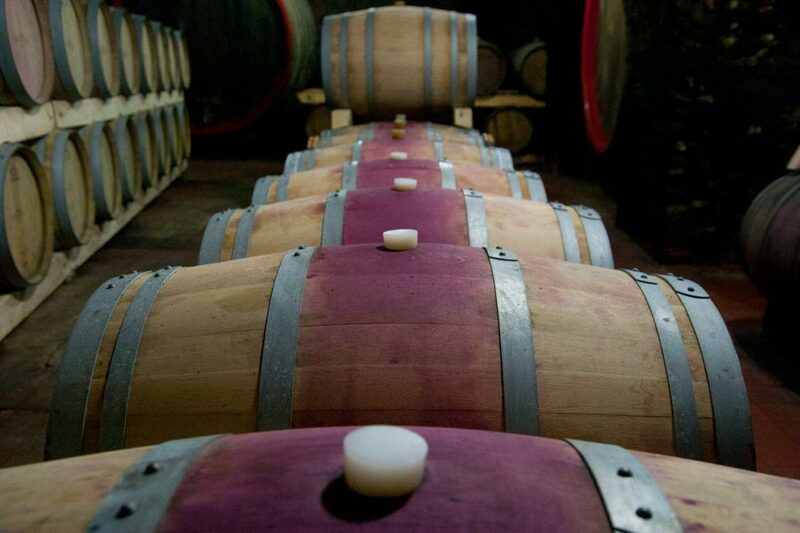 Their main cellars and production facilities are just a few minutes away from the Chateau. However, they still use the cellars underneath the Chateau to store and age some wines and to show tourists around. The cellars, that were built in 1430, are different from most others we’ve been to. These cellars were clearly used to produce and store wines on a large scale. One of their interesting features is a unique wine transportation system consisting of big glass pipes on the ceiling across the entire cellars. 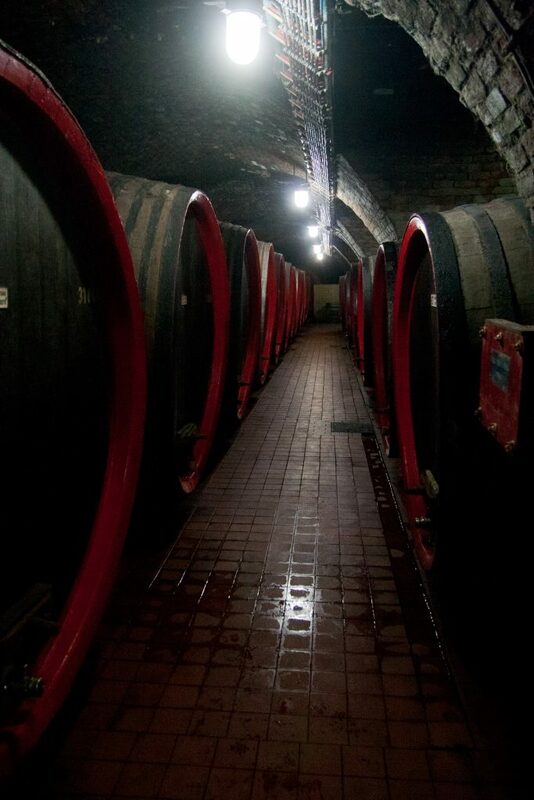 The huge wine barrels can be connected to these pipes to pump wine from one barrel to another, or to the exit, towards the thirsty consumers. 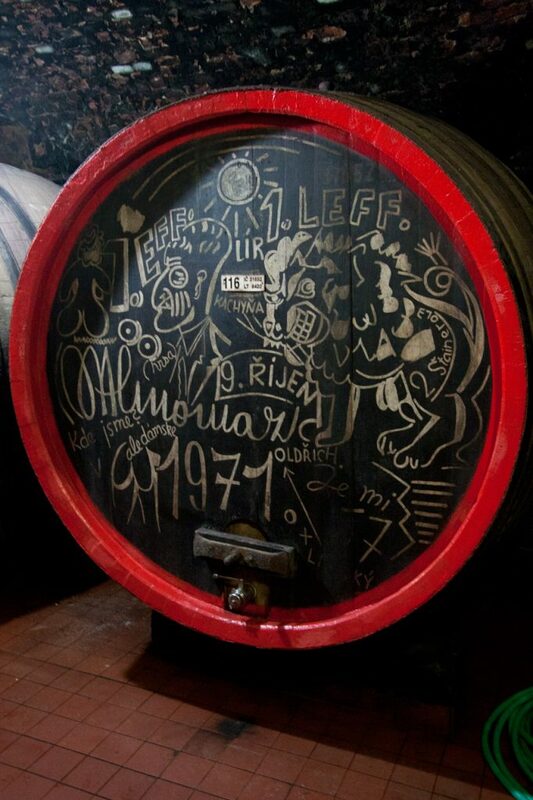 The cellars are still being used to store wine, mostly in new small barrels, but also in some of the huge old barrels, that can store up to 9830 litres of wine and some of which have been decorated with drawings, wine-related proverbs and jokes. If you would enjoy seeing those on a regular basis, anyone is welcome to rent private boxes in the cellars and store their own wine bottles there. 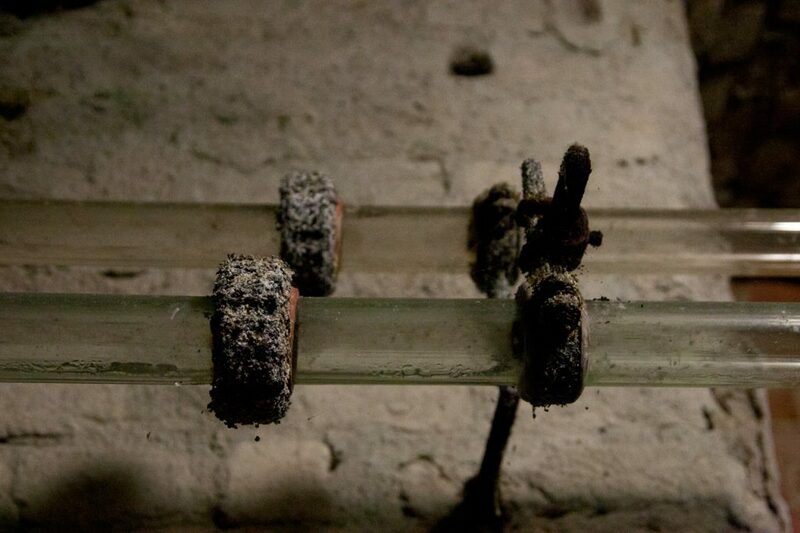 When you visit Czech wine cellars, you will often see coins stuck to the mouldy cellar walls. 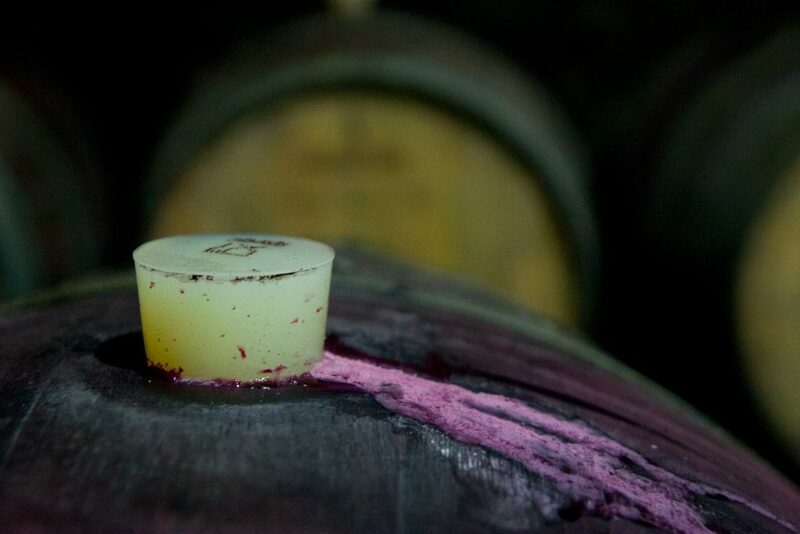 According to winemakers, sticking a coin onto the wall guarantees you will come back. Judging by the capital on the walls of these cellars, a lot of people are hoping to come back to Chateau Valtice. Of course, a cellar tour is not complete without a tasting. At the end of the tour at Chateau Valtice you will be able to get a tasting. Several guided tasting options are available. Being one of the biggest winemakers in the area, Vinné Sklepy Valtice might not get the best reviews when you talk to other winemakers. However, we were pleasantly surprised by the wines they served at the tasting. These cellars are definitely worth a visit! 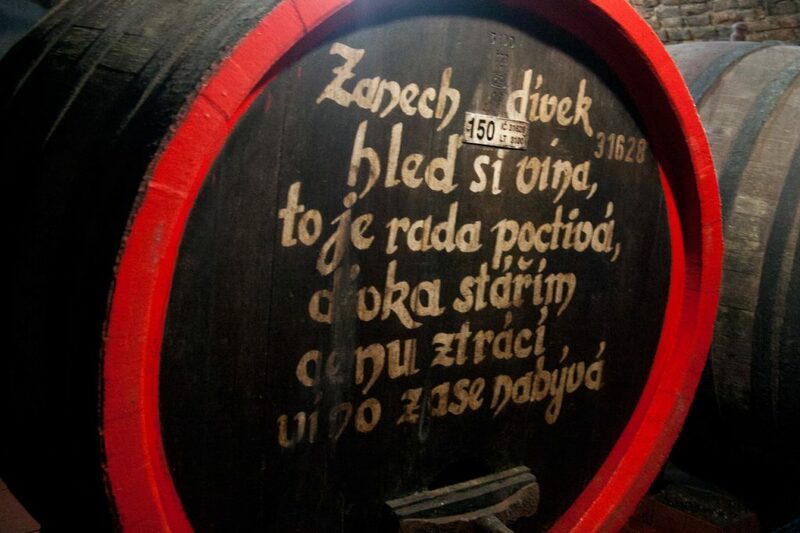 For more information about opening hours and tasting options visit the (Czech) website: http://www.vsvaltice.cz/Zamecky-sklep-Valtice/. 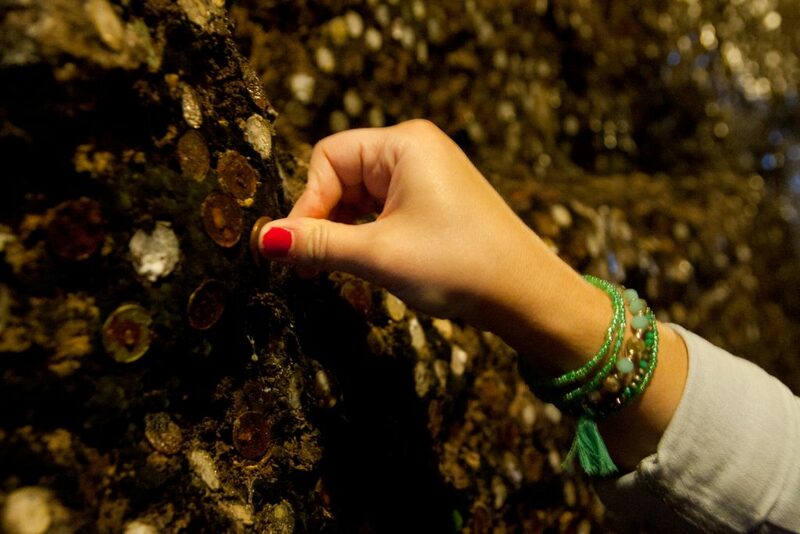 Stick a coin on a wine cellar wall to come back.